Tony Raines (@T_Raines33) joins Derrick (@DerrickMTV) and Scott (@SHOTOFYAGER) to talk about the brewing feud between the so-called #YoungBucks in their 20's and the grizzled old vets in their 30's. We learn about Tony and Derrick's interactions on #ChallengeXXX, Derrick's shameless support of Darrell during his elimination round with Tony, some scenes that you didn't see on TV like a secret dinner and much ... See More more! Tony discusses the unfortunate incidents involving both he and his brother and by the end of the show the guys break into a full on #20sVs30s Draft! Tony and Derrick each pick three guys and three girls they would want to go to war with. The sound quality of this episode might be a little below our standard but we wanted to make sure to get you guys the episode on time on #TonyTuesday so thanks for bearing with us on the audio. 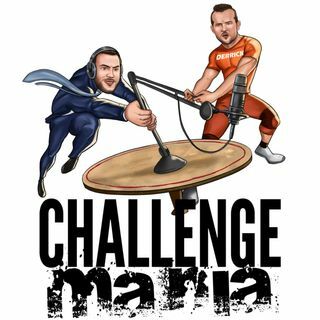 The podcast itself pulls absolutely no punches and #Challenge fans should enjoy this head-to-head-to head with one of the most exciting and polarizing young players in the MTV Challenge Universe that is LOADED with inside info and stuff you don't see on TV!